In the constantly evolving corporate sustainability landscape, strong relationships with trusted partners are essential to maintaining a leadership position. Corporate Citizenship Briefing (CCBriefing) provides free daily news roundups covering responsible and sustainable business. It also offers a monthly analysis of the changing landscape for sustainable business. 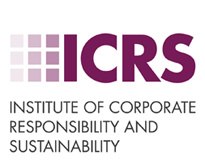 Institute of Corporate Responsibility and Sustainability is dedicated to supporting CR and sustainability professionals to be brilliant at all stages of their careers. LBG is the globally recognised framework for measuring and reporting corporate community investment, and is aligned to all major corporate sustainability indices. Realized Worth - works with companies to engage employees in citizenship programs. 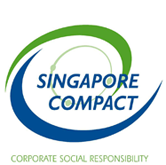 The Singapore Compact for CSR is a national society committed to bringing the CSR movement forward.